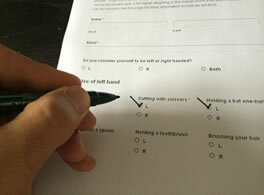 Why make things so left-handers can’t use them? 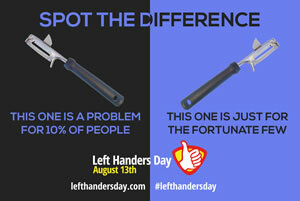 Discover the real benefits of proper left-handed products – be a proud left-hander and show how you can perform! Want to see your cutting line and cut cleanly? Want smooth ink flow pushing across the page? 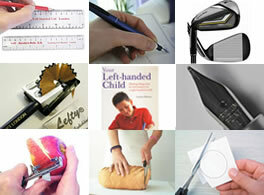 Want to be able to help your left-handed child? Want to play golf left-handed? Your Left Handed Child Ebook has all the answers! Fed up with peeling your knuckles? Want to cut straight slices of bread? Want to measure your lines from right to left? Turn your pencil anti-clockwise to sharpen? 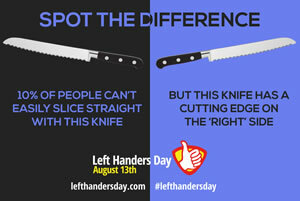 Need advice on helping left-handed children? Left-handed tools that are not dangerous for you? Im so confused. I do write with my left-hand BUT i do every single thing with my right hand. Such as peeling, moving the mouse, playing badminton and so on. 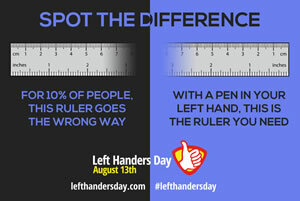 I think its bcs i live with a right-handers surroundings and i feel like i just betraying the left-handed society. When i tried to peel with my left-hand, it was shaking and not strong enough than my right-hand. 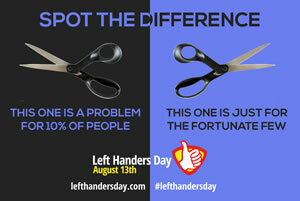 How to change my habit so i could be called as a fully left-handers? I was disappointed to buy a Tangle Teezer hairbrush recently, only to discover that its design fits snugly into the right hand only…as a leftie, I struggle to hold it comfortably. Who on earth let this design pass at blueprint level?! When a righty sits down at the table they put a newspaper in front of them and coffe to the right. The news paper is turned from left to right. When we lefties do the same, newspaper in front, coffee left, open the paper, whers the coffee! I know huh. All 3 of my wives were righties. They all hung up my clothes facing the,wrong way . And at restaurants as the waiter leaves I have to move the glass, napkin and siverware to the left.